Colouring of Western Red Cedar cladding can vary from almost pink to very light ‘sandy’ brown right through to extremely dark, rich, red tones. This is a highly important factor to consider, as colour can vary in uniformity within this timber and even in and between individual boards. Western Red Cedar cladding has rich and variable colours as well as a high resistance to decay. It is also very durable due to the natural preservatives present in the wood. Western Red Cedar is known for being lightweight and soft, as well as easy to work due to its straight grain and uniform texture. Sawn or planed cedar will take a variety of coatings. It also has a moderate to high resistance to decay, splitting and movement. Cedar maintains a moisture content of around 20% during its lifespan, hence its excellent stability. It is available kiln dried (KD) or ‘green’, which is air dried. Our standard cedar grading is ‘No.2 Clear & Better’, meaning that some knots may be present in the wood, however they are kept to a minimum where possible. The presence of knots is worth noting, and it would be prudent to allow for extra wastage when calculating cladding quantities. At Bennetts Timber we also offer a premium ‘No.2’ grade only, as well as a ‘vertical grained’ grade of cedar, so please ask the team for further details. Western Red Cedar cladding will fade to an attractive silver-grey over time. The time this takes will vary depending on exposure to the elements, sun, wind and rain, giving each individual project a unique look. If preferred, fading can be avoided by applying a clear treatment with a UV filter. If initially treated the cedar will need re-treating in a few years’ time. Alternatively, it can be stained to maintain its rich colours. We specialise in staining, painting and other preservative treatment which is factory applied by us, so please just ask or see our Painted Cladding page. Lengths of Western Red Cedar cladding are measured using the imperial rather than metric system, and range from 5ft (1.5m) through to 20ft (6.1m). Lengths are subject to availability at the time of order, but please ask our team for further details. Transport costs will also be affected by the lengths taken, so please consider this when ordering. 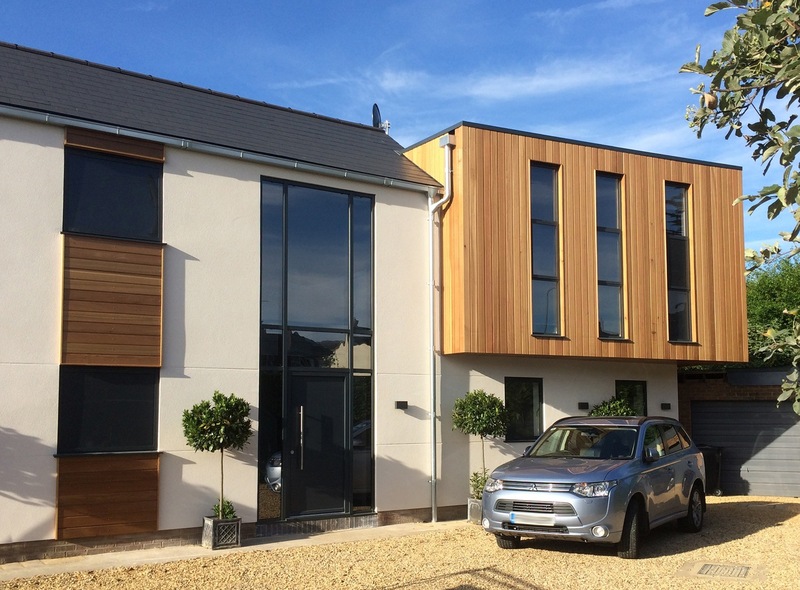 This wood is ideal for external and internal cladding and has become increasingly popular over the past few years. Western Red Cedar has a high tannin content which can be corrosive to iron and can itself stain badly as a result of any corrosion. Stainless steel nails, screws or fixings are therefore strongly recommended. If you are considering using Western Red Cedar cladding as a material and need further assistance, do not hesitate to call our sales team on 01472 350151 who will be happy to help with your questions.